The digital gig economy, defined as people who use online apps to complete gig-style work both locally and remotely, has expanded globally at a rapid and increasing rate. While public discussion often focuses on local gig work such as food delivery, surveys suggest an increasing number of people are going online to find remote gig work, such as programming and translation services. It is estimated that 70 million workers world-wide are registered on online labour platforms such as Freelancer.com and Fiverr. However, a new study conducted by researchers at the Oxford Internet Institute at the University of Oxford suggests that while the flexibility and autonomy of remote gig work may be initially appealing and benefit some people, there may be some unforeseen consequences to their well-being. "Our findings demonstrate evidence that the autonomy of working in the gig economy often comes at the price of long, irregular and anti-social hours, which can lead to sleep deprivation and exhaustion," says Dr. Alex Wood, co-author of the paper. While gig work takes place around the world, employers tend to be from the UK and other high-income Western countries, exacerbating the problem for workers in lower-income countries who have to compensate for time differences. The research found competition to be a mitigating worker in the potential wellbeing effects. Competition on online labour platforms is mediated by algorithms and rating systems. Workers with the highest client ratings tend to rank higher in the platform's search results, and receive more work. Wood adds: "The competitive nature of online labour platforms leads to high-intensity work, requiring workers to complete as many gigs as possible as quickly as they can and meet the demands of multiple clients no matter how unreasonable." 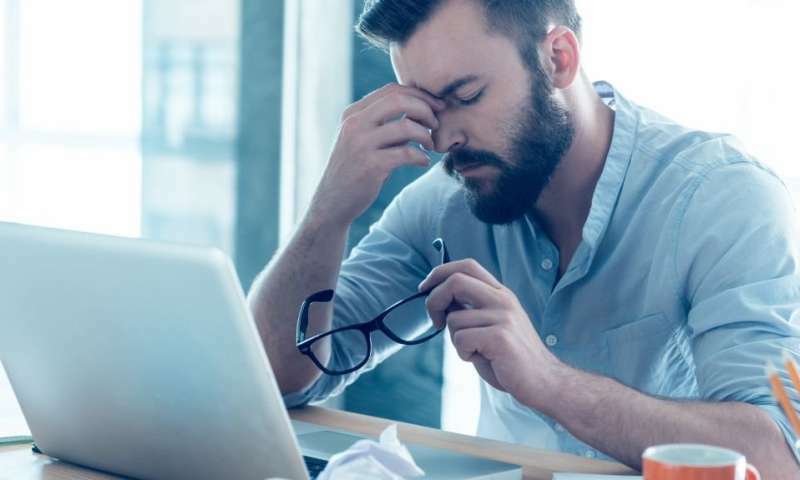 Fifty-four percent of workers taking part in the study said they must work at very high speeds, and 22 percent reported pain as a result of their work. "This is particularly felt by low-skilled workers, who must complete a very high number of gigs in order to make a decent living," says Professor Mark Graham, co-author. "As there is an oversupply of low-skill workers and no collective bargaining power, pay remains low. Completing as many jobs as possible is the only way to make a decent living." The research was undertaken with over 700 online labour platform workers in Southeast Asia and sub-Saharan Africa. "Our findings are consistent with remote workers' experiences across many national contexts," says Graham. "Hopefully, this research will shed light on potential pitfalls for remote gig workers and help policymakers understand what working in the online gig economy really looks like," sums up Wood. "While there are benefits to workers such as autonomy and flexibility, there are also serious areas of concern, especially for lower-skill workers." Thanks for this article. Can you please follow me on LanceBase or IG? I'm currently a stay-at-home mom, offering a variety of freelance writing and administrative services.